The Carters hire Howard Keel to help them search for the "Gorboona", a rare combination between a gorilla and a baboon. Lucy ends up being hit in the backside by a tranquilliser gun. Kim and Craig end up dressing as colourful dancers to attract the gorboona, and Harry winds up doing a successful rain dance. 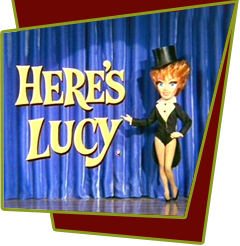 Special Notes: Lucy was so hoarse from rehearsing her jungle scream that she lost her voice. She never learned how to use her throat. This show is not a favorite of anyone involved in the episode, and may be one of the worst from the first season.